I can hardly believe she's 5. Has it really been five years since she was born? Also, that means I've already been a mom for five years and been married longer than that. I think this means I'm actually a grown-up now. So, M turned 5. 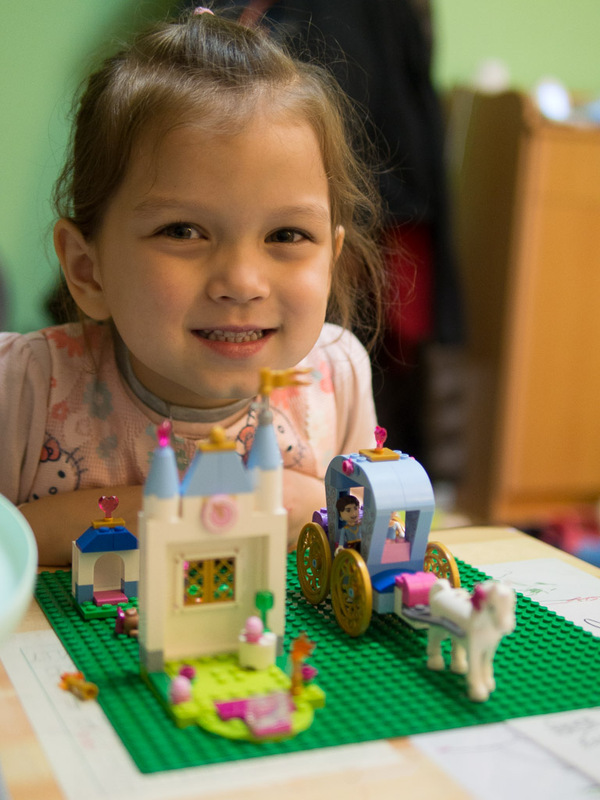 She started talking about her birthday plans months ahead of time, and nearly everyone we know already knew about her having a Lego party before we had even scheduled it. Man, does this kid know how to enjoy life. So, we had a Lego birthday: Lego cake, Lego decorations, Lego games at the party, Lego gifts from grandparents. We also went out to eat at her favorite fancy restaurant and that had nothing to do with Legos. But other than that, I'm pretty sure it was all Lego. Lego makes for a pretty easy birthday theme, though, since I could still make a rectangular cake and it's easy to come up with games involving legos, since they're actually toys. 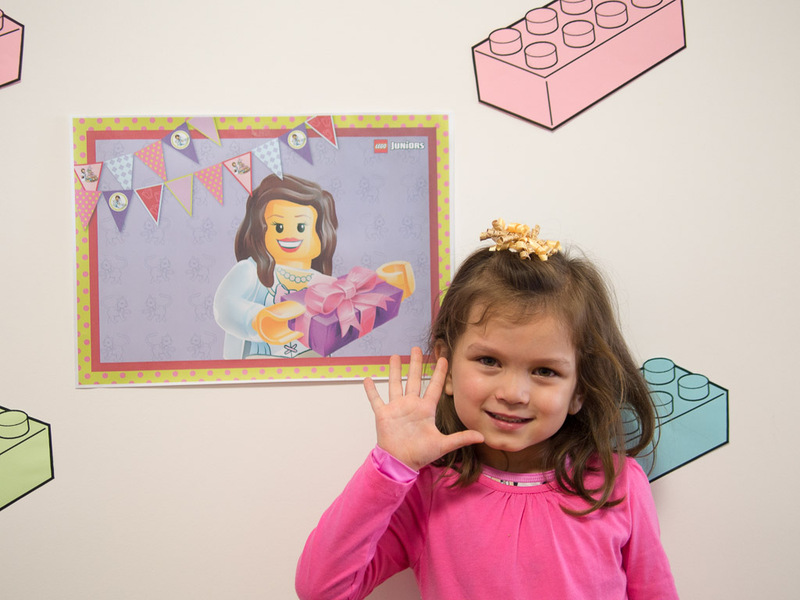 We invited several of her classmates over for a birthday party where they tried to build a really tall Lego tower and colored pictures of Lego princesses. M had a blast! 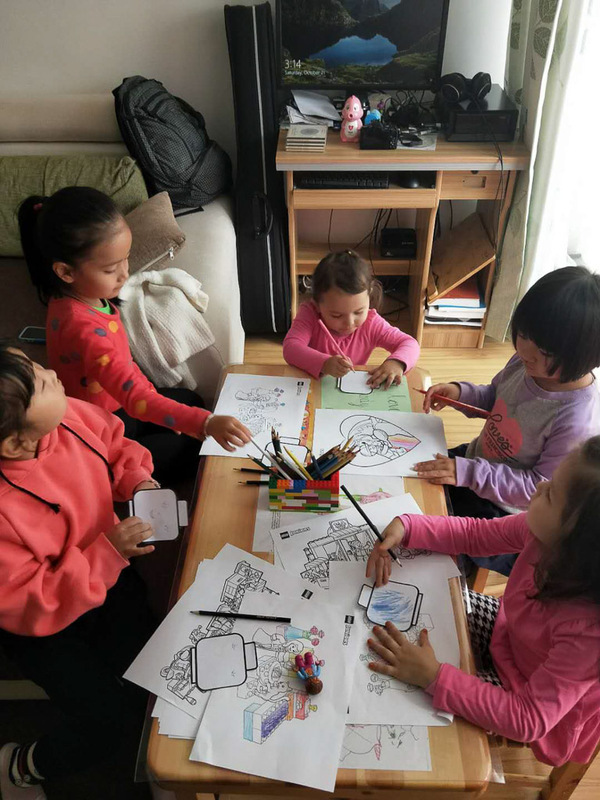 But since I'm pretty sure it was most of their first time in a foreign home, all the moms seemed really tense and awkward. 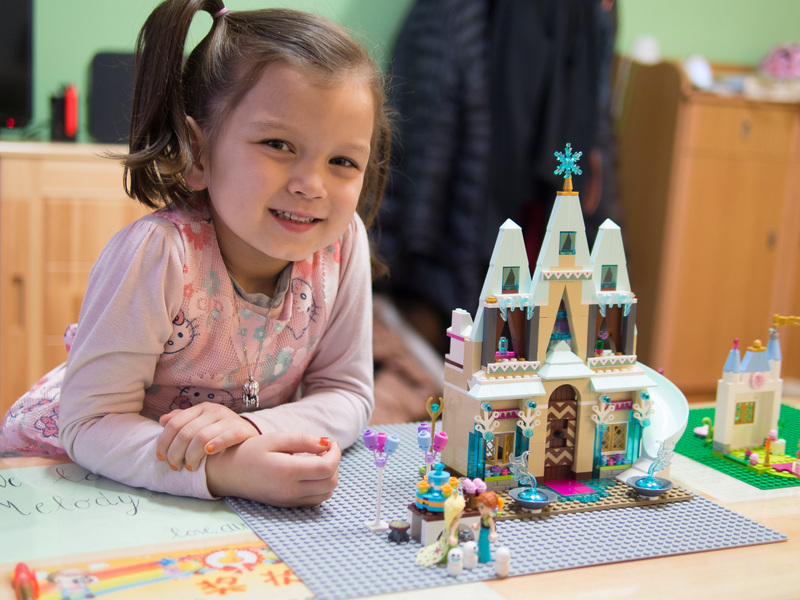 After her party, she opened a few gifts, including this epic Lego Frozen castle from her grandparents. It took her three days to finish building it and it was three weeks before I could convince her to move it off the coffee table (or take the Legos off the wall for that matter). The following day, we went to the ball pit with some expat friends and then all had dinner together to celebrate again. 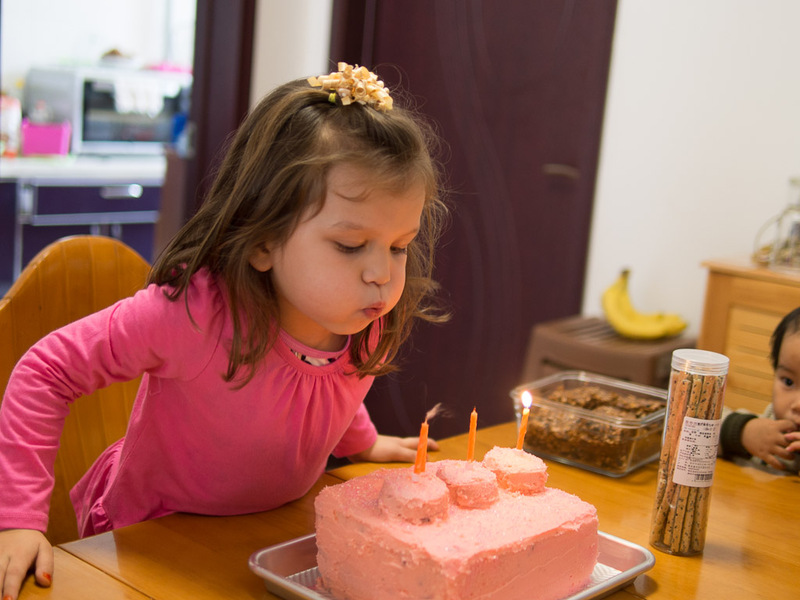 Then on Monday, her actual birthday, she picked a cake to bring for her classmates to share all together. I'm pretty sure that means she had five birthday cakes. H says next year he wants 31.